Ramirez Camps, G, Westerveld, T.H.W, & de Vries, A.P. (2006). 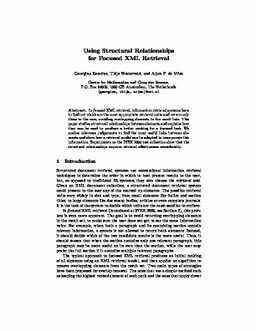 Using Structural Relationships for Focused XML Retrieval. In Proceedings of International Conference on Flexible Query Answering Systems 2006 (7). Springer.